Osaka is a city in the Kansai region of Japan’s main island of Honshu. It is located at the mouth of the Yodo River on Osaka Bay. It is well-known for its abundance of excellent restaurants and the performing arts of Kabuki and Bunraku. The city also boasts an impressive aquarium and superb Museum of Oriental Ceramics. The city’s busy Namba and Umeda districts are renowned for their nightlife and the Dotonburi area is particularly lively after dark. Universal Studios Japan, a 140-acre theme park in Osaka, is enormously popular. The Port of Osaka's most famous attraction is Osaka Castle. It is the symbol of the city, containing 13 structures that are official national Important Cultural Assets including the grand gates and turrets on the outer moat. The Castle is a magnificient sight, with grand high walls, a wide moat, and ornamental tile roofs and carved reliefs, all gilded in gold. Port Location – The Osaka Tempozan passenger terminal is located 5 minutes on foot to “Osakako” station, in the western part of the city, in the heart of the Kinki district. 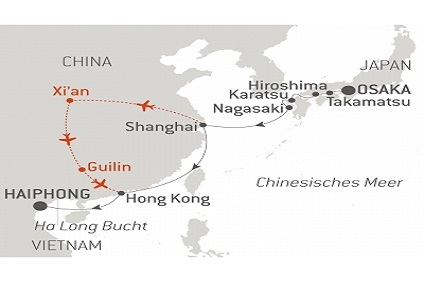 Travel Links – Osaka is served by Kansai and Osaka International airports. Both are located outside the city. Osaka's international ferry connections are far greater than Tokyo's, mostly due to geography. 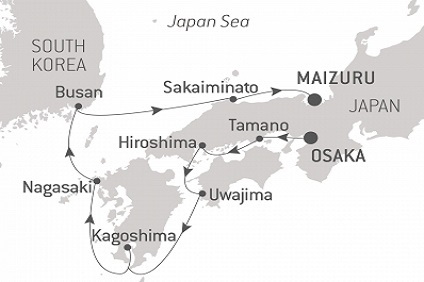 There are international ferries that leave Osaka for Shanghai, Korea, and until recently Taiwan. Osaka's domestic ferry services include regular service to ports such as Kitakyushu, Kagoshima, Miyazaki and Okinawa. 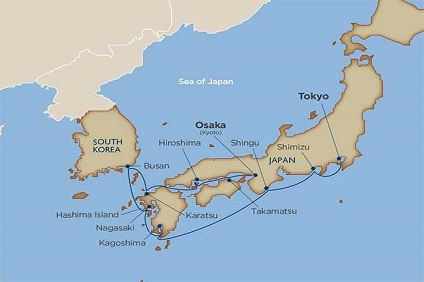 10 Night Cruise sailing from Osaka to Tokyo aboard Star Legend. 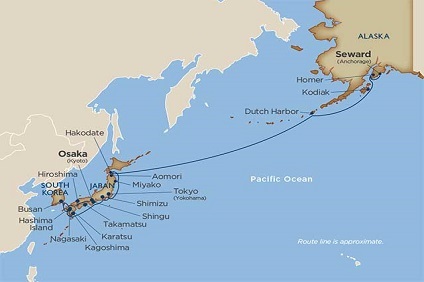 26 Night Cruise sailing from Osaka to Seward aboard Star Legend. 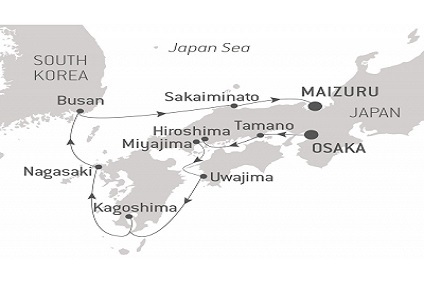 8 Night Cruise sailing from Osaka to Maizuru aboard Le Laperouse. 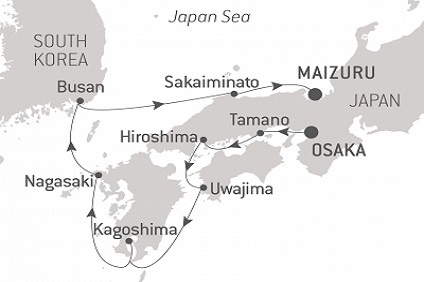 14 Night Cruise sailing from Osaka to Haiphong aboard Le Laperouse.